AAA 4 star rated self contained country spa cottages set amongst a delightful country property and gardens with two-storey cottages and a two bedroom two bathroom villa. WEEKEND SPECIAL – Stay 3 nights Friday to Monday and pay $160.00 per night per couple. Additional people pay $50.0 pp pn. MID WEEK SPECIAL – Stay 4 nights for $150 per night per couple to include complimentary aperitif and chocolates on arrival. To receive these specials please mention our website specials when booking. Our tariffs start at $150.00 per night for a four night stay midweek or for shorter stays see the bottom of this page. We require a two night minimum stay. 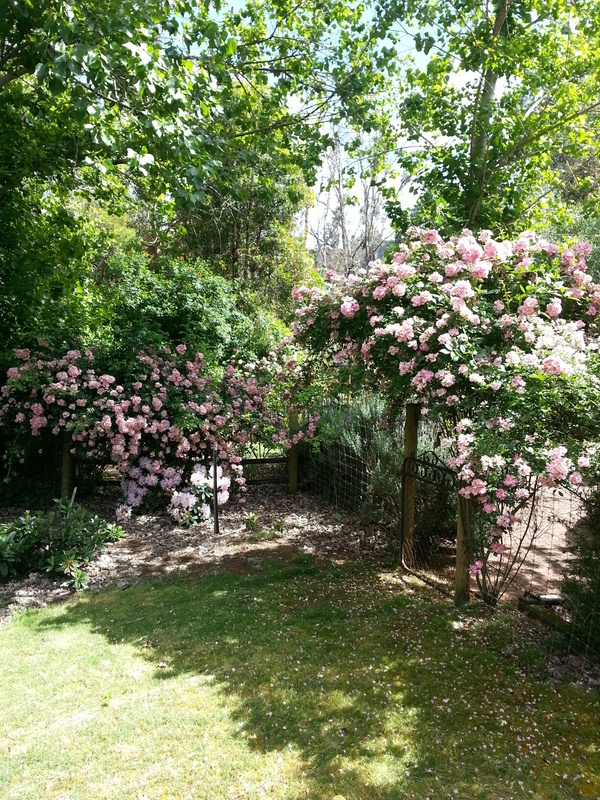 If you’re looking for a relaxing break away and something quite special, then Redgum Hill Country Retreat cottages and B&B accommodation is the place for you! 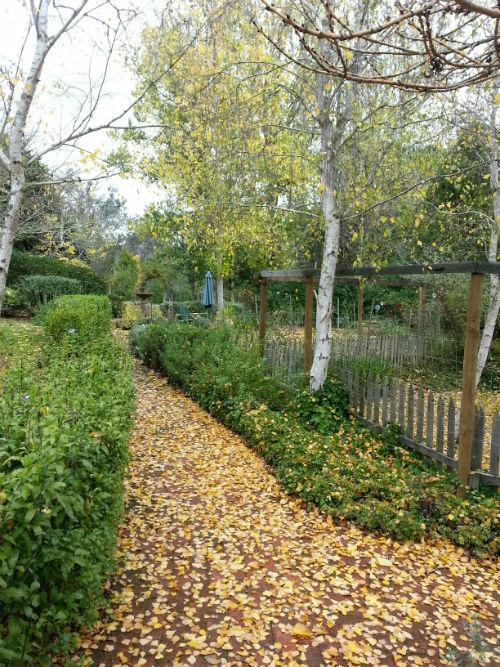 Our accommodation is set within 11 acres of woodlands, ponds and gardens and is situated on the banks of the Blackwood River. See below for tariffs or Contact Us for specials. We have accommodation to suit all – from a well-appointed 4 star 2 bedroom villa, to unique and secluded self-catering spa cottages. Our villa is situated in a separate guest wing adjacent to the main house and has private access, colour TVs, DVDs (hire), bar fridges, tea/coffee-making facilities, reverse-cycle air conditioning, ceiling fans and open onto all weather verandahs overlooking our beautiful gardens. Our self-catering spa country cottages are two-storey and include wood fires, air conditioning, colour TV, DVD hire, CD player, BBQ’s and spas to ensure a romantic and relaxing stay. ‘Duffy’s House’ is the perfect, spacious, very private retreat for one to two couples and over-looks picturesque woodlands and the property dam. The cottage is well appointed and includes a fully equipped kitchen, comfortable spacious lounge and dining area and a generously proportioned verandah surrounding the cottage. ‘Gumnut Cottage’ is smaller and very romantic. Previous guests have referred to it as “The Gingerbread House”. Gumnut overlooks the river, is fully self-contained and has a secluded ‘Juliet’ upstairs balcony. This enchanting cottage provides an ideal romantic holiday or honeymoon. Redgum Hill is located near Nannup, Western Australia and lies at the heart of the beautiful South West, between Margaret River and Bridgetown. Situated on the Blackwood River our properties can be approached via the picturesque Balingup to Nannup Tourist Drive 251. The South West is one of WA’s premier touring regions and Redgum Hill offers you the opportunity to explore all the attractions the South West has to offer. From historic towns, to natural wonders, the Bibbulmen track, bird watching, spectacular forest surroundings, croquet, boule through to some of the finest wineries and restaurants, we can offer it all. We cater for short and long term accommodation, small corporate groups and international tourists. If required, groups can book both cottages and the villa for 12 people. The tariff for a full house stay is negotiable. We cater for meals, BBQ platters and fully cooked breakfasts served to your cottage or room to be confirmed when booking. Enjoy our tranquil surrounds, unspoiled beauty and intimate well-appointed accommodation. Call us today to make a reservation for your long-deserved break. A bond of $250 is required upon booking and shall be returned following an inspection of your accommodation. 1 night 1 couple $275 Premium price for one night only.